So, it did finally get cold. Do we care? Hell no! 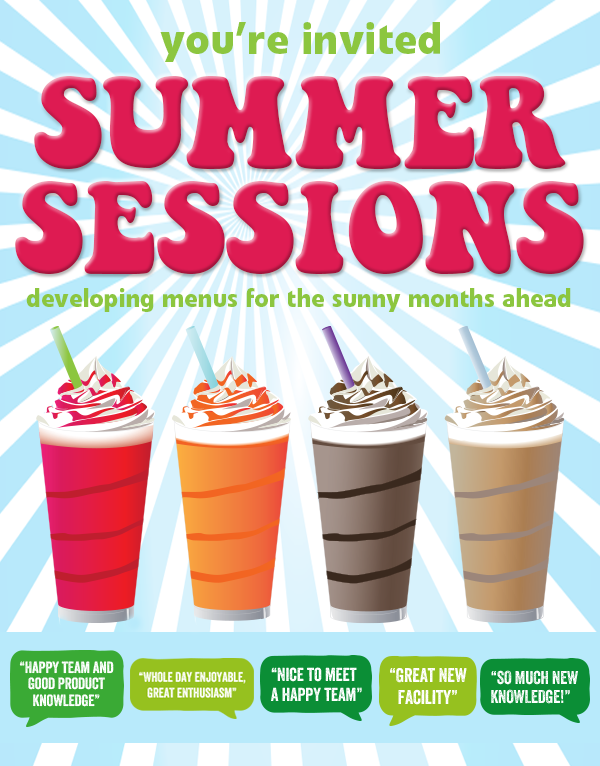 Because as we watch our new Zuma Double Hot Chocolate fly out the door in their flat bottomed bags (yep, we’re Queen fans …) we look ahead to Summer and how best to make the most of cold and blended drink sales. We know how much all our guests at the Winter Workshops benefited from their time here at BTB HQ in Bristol so for the Spring term, school is well and truly open; we’re hoping you’ll enroll. We will cover many areas to make sure your Spring/Summer drinks sales soar. We’ll be sharing our favourite recipes, ideas and showcasing new products before they launch. We’ll share our knowledge and insight into the UK future drinks trends to help you stay ahead of the competition. During our Blendtec Blender Blitz we will share our secrets for getting the smoothest smoothies and most fabulous frappes, along with general blender know how, tips and advice. Whether you are one of our many distributors and would like to bring some of your customers, or you’re one of our many independent customers, the invite is open to all. You’ll get to see behind the scenes at BTB, meet the team, and end the day knowing you are all set for when we start to enjoy longer days and even longer drinks. If you would like to register for one of our open days, email us with your name, company and contact details, and we’ll get in touch with a few dates for you to choose from.